Sweetpea-Lifestyle: Summer with Trader Joe's Week #3: COCKTAILS. Summer with Trader Joe's Week #3: COCKTAILS. I love a good cocktail. And by good, I don't mean classy with expensive bourbon or whiskey, I mean, find the maraschino cherry at the bottom good. I am a fan of mixed beverages. Sweet mixed beverages! I also love drinking something while conversing with friends. Around the table, on the deck, porch, etc. Nothing says summer like a mason jar filled with an "Orange You Glad You Came Over" Cocktail, and friends laughing! Today, I wanted to share a SUPER easy cocktail, and one that everyone will love. You can even make this into a "large" version, and pour it out of a pitcher. Or an even bigger version, and serve out of a dispenser! Party Time! I don't know many people who don't love a Dreamsicle. Along with that, Orange Cream Soda. It may not be everyone's go to choice, but in the Summer, a naughty but nice drink in my hand is always welcome. 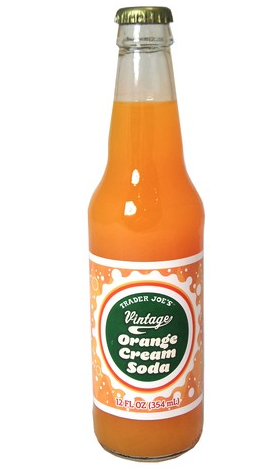 Crack open a bottle of TJ's Vintage Orange Cream Soda, and pour a little over ice. 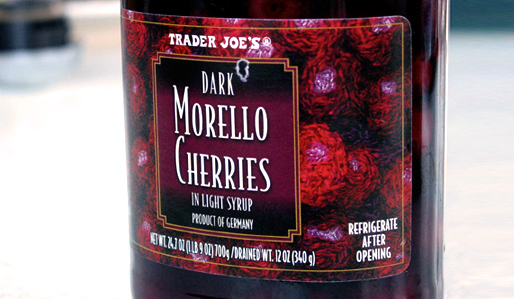 Add some fruity gin to the glass, and then some of TJ's Morello Cherries juice.... Their almost grown up version of the super red yummy maraschino cherries. I like to plop a few cherries in the bottom. As a "surprise" later! Stir it around and ENJOY! It's that easy. And, if you have kiddie's in the house who love a fun mocktail, leave the gin out! Now, grab a mason jar and meet me on my deck. I have plenty "Orange You Glad You Came Over's" waiting!